Atari have announced that RollerCoaster Tycoon World is now available for pre-orders on Steam, ahead of its 10th December launch date. To celebrate, Atari also released the following behind-the-scenes video that gives fans an inside look at the development of RollerCoaster Tycoon World and the technology behind some of the most significant advancements coming to the series. September 29th, 2015 | Tags: 3D spline-based coaster builder, Atari, modding, Nvizzio Creations, pre-order, Rollercoaster Tycoon, RollerCoaster Tycoon World, rollercoasters, Six Flags, Six Flags Entertainment, Steam, Theme Park, user generated content. Tecmo Koei Europe announced today three exclusive pre-order bonus packs for upcoming fighting title Dead or Alive 5 Ultimate, set for release this September on the PS3 and Xbox 360. July 12th, 2013 | Tags: Amazon, costumes, Dead or Alive 5 Ultimate, game, pre-order, pre-order bonus. A Game of Dwarves is now available for pre-order, for around $10, or £7.99 on Steam. Those who pre-order will also receive the game’s first DLC, the Ale pack, for free: ale keeps your Dwarves happy and productive! A Game of Dwarves is due for release on the 23rd October, for the PC. October 10th, 2012 | Tags: A Game of Dwarves, Ale DLC Pack, pre-order. Borderlands 2: Mechromancer Out Early! Borderlands 2’s first DLC, the Mechromancer, has been released early and is available today! Gaige, the Mechromancer, is a new playable character with her own skill tree and abilities as well as a summonable pet robot, Deathtrap. Those who preordered Borderlands 2 will get this DLC for free; otherwise it costs £8 on PC, or 800 MSP on the Xbox. October 9th, 2012 | Tags: Borderlands 2, Deathtrap, DLC, Gaige, Mechromancer, pre-order, robot. Borderlands 2 Release Date and Trailer! February 22nd, 2012 | Tags: 2k Games, Borderlands 2, Borderlands 2 Premiere Club, Doomsday Trailer, pre-order, release date, split-screen. THQ have announced that Vigil‘s action-adventure Darksiders II will be released for the PS3, 360 and PC on the 29th June 2012. Exclusive pre-order bonuses have been announced too: the ‘Death Rides’ pack from GAME contains extra side-quests, the ‘Deadly Despair’ pack is available via Amazon and adds a speed boost for Death’s steed, Despair, and the ‘Angel of Death’ pack will provide enhanced armour and weapons.. the shop this preorder will be available through has not yet been announced. 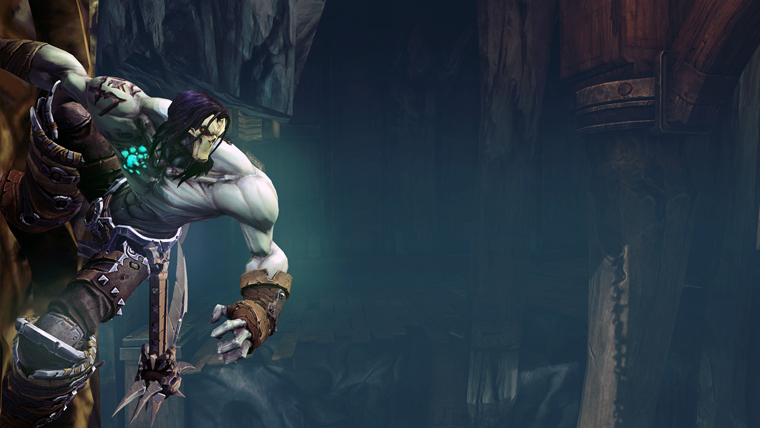 February 14th, 2012 | Tags: Darksiders II, death, exclusive, pre-order, release date, THQ, Vigil.